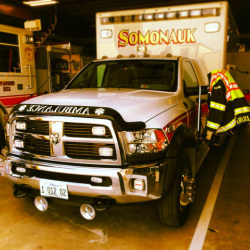 The Somonauk Fire Department has approximately 36 firefighters who are committed to protect and preserve the lives and property of all whom request our assistance. We also provide fire / rescue and emergency medical services to the residents in the city of Somonauk as well as DeKalb and LaSalle counties, including Lake Holiday. Furthermore, we are here to advise the public on safety issues and teach the community of what to do in case of an emergency.